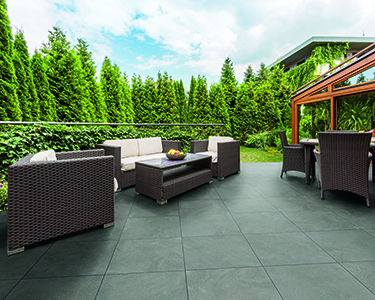 Vitrified paving combines strength with technical consistency, with paving flags able to withstand moisture, staining, and moss and algae growth. 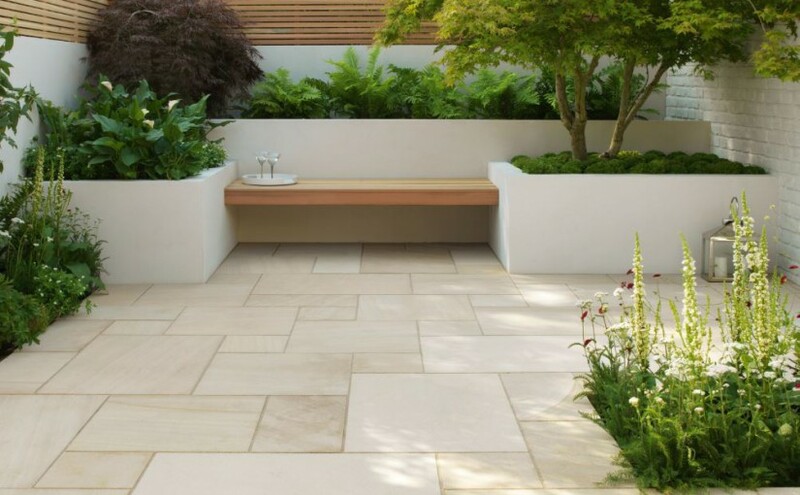 This low-maintenance paving means you’ll have more time enjoying your outdoor space and less time on upkeep. 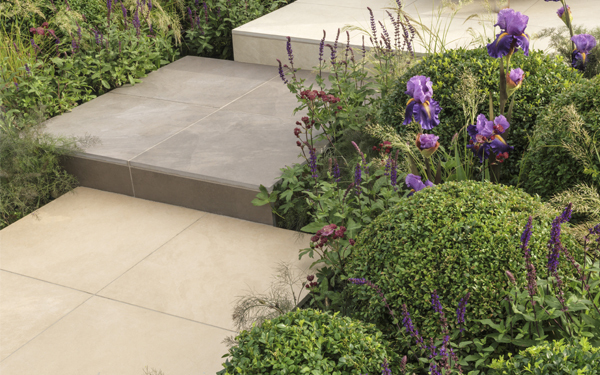 With many different style of paving to choose from, we’re here to help you choose. 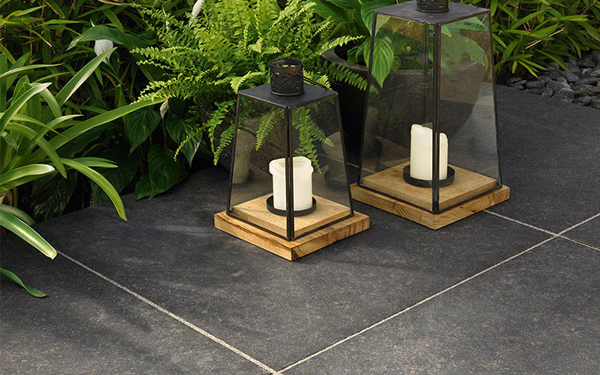 The below options are our most popular vitrified paving styles. 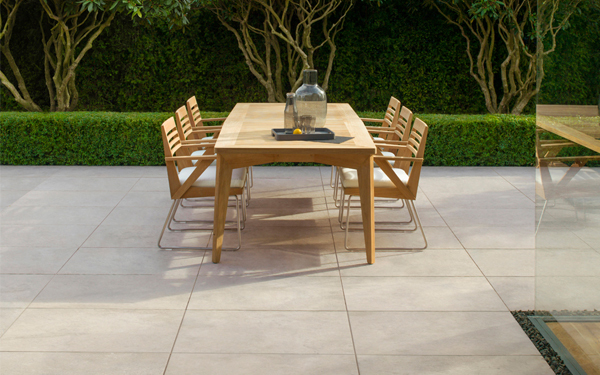 A new and exclusive range to MKM for 2019, Arlow is a highly attractive and functional paving. With the technical properties of vitrified paving allowing you to enjoy the charm of the colouring. Available in mid-grey and buff. Available in 6 colours, Fortuna is hardwearing, difficult to stain, absorbs little to no moisture and is anti-slip and frost resistant. 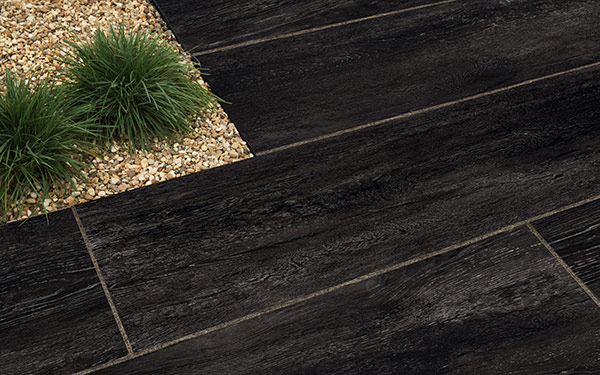 One of Stonemarket’s new products for 2018, Knotwood vitrified paving recreates the colours and textures of wood planks, but with no rotting or warping. Available in oak, birch, char and cherry, Knotwood looks striking as the primary focus but also incorporated with other styles. 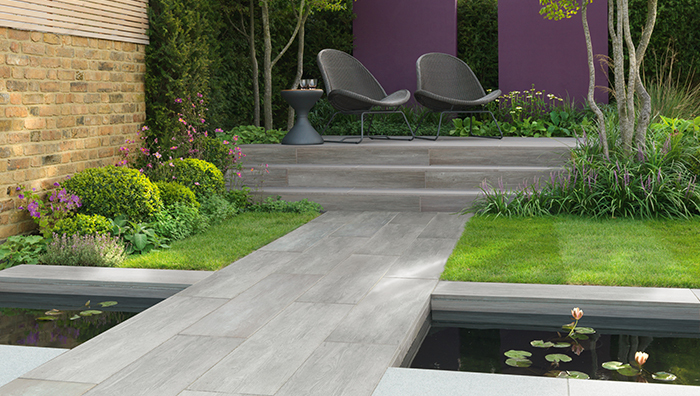 With on-trend colours and robust good looks, Gravity adds a dramatic finish to your modern garden. 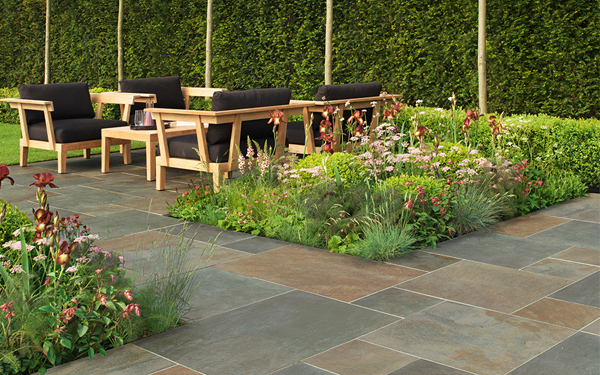 These colours are difficult to achieve with other types of paving. The gentle colours and textures of Paleo, include two new colours, Senna and Umber. 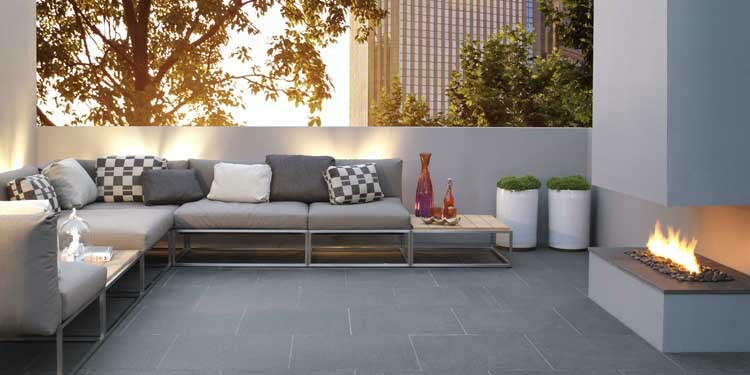 Bring the ambience of the Mediterranean to your garden with Paleo’s warming impression. Lucent has an authenic appearence with a gentley riven texture. Colours can range from the popular Blue, to russet and Gold Copper, where Cotswold is the classic blend of buff shades with a light texture. 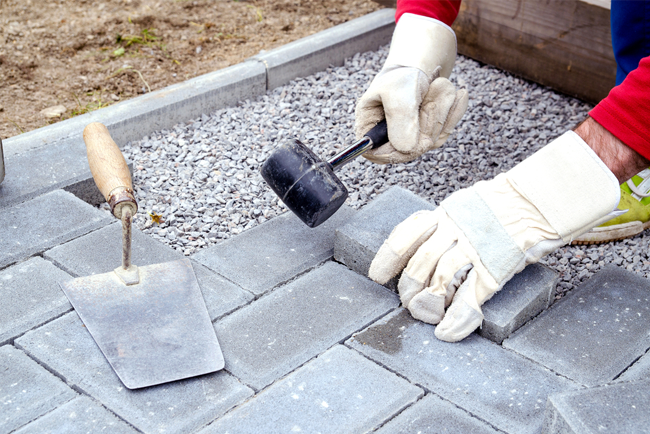 Our in branch team will guide you through purchasing your patio or driveway. For contact details, visit our branch finder page.